The National Gallery of Armenia (NGA) is set to open an exhibition dedicated to the 200th birth anniversary of the world-famous seascape painter Hovhannes (Ivan) Aivazovsky on 15 September. The exhibition titled “Hovhannes Aivazovsky: Creation” features 52 paintings, 26 graphic works, 1 work of the decorative-applied art and 20 documentary materials. Apart from the exhibition, an academic conference is planned to discuss different aspects of the diverse activity and the rich creative legacy of one of the greatest masters of marine art. “The conference of such a scale dedicated to the seascape painter is unprecedented for the Gallery,” Graphic Department Manager at NGA Marina Hakobyan told a press conference on Tuesday. Hakobyan specifically pointed to the fact that the conference is attended not only by Armenian experts, specialists, art critics, but also art collectors, publishers from Theodosia, Moscow and St. Petersburg largest museums, cultural centers, guests from the UK and USA. Among the guests of the conference are Director of the Ayvazovsky Museum in Theodosia Tatyana Gayduk, the Head of the section of paintings from the 19th and 20th centuries at the State Tretyakov Gallery Galina Churak, Director of the State Russian Museum Vladimir Gusev, others. Among foreign guests are art critic, longtime researcher of Aivazovsky’s creativity and author of number of books and articles Ivan Samarin from London, researcher, one of the biggest collectors of Ayvazovsky’s works Andreas Rubian from the US who will deliver reports. “Not only the scope of the experts but also the topic of the conference itself is quite interesting and multifaceted. 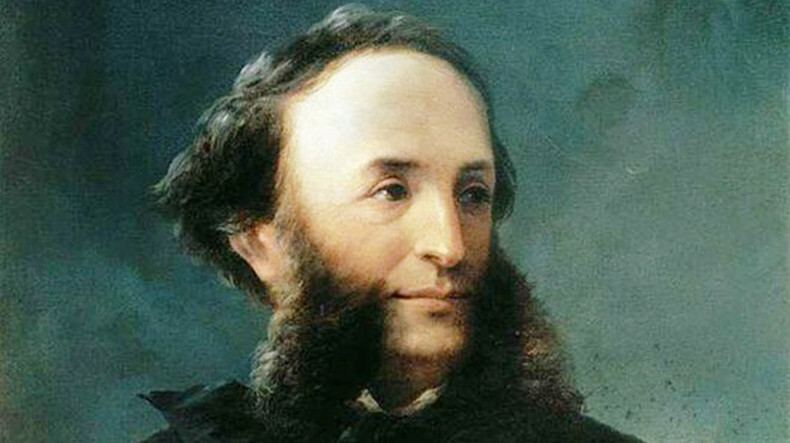 For sure, Ayvazovsky is the cornerstone of the event but not the only one. It is expected to introduce works of not only Armenians Alkhazyan, Tadevosyan of the late 19th and early 20th century, but also Courbet and Monet of the Western Europe,” said Hakobyan, who will act as the coordinator of the conference. Responding to the question about the change of the painter’s surname (Hovhannes Aivazian), she said the conference will address the matter with expected documents and materials to be presented when and how that happened. “Initially, the painter’s letters were signed by a surname Gayvazian then changed to Aivazian. His brother, who was member of the Mkhitarian Congregation at the St. Lazarus Island in Venice, however, kept his original surname - Gabriel Aivazian. The painter moved to other environments, subsequently changing his surname,” Hakobyan explained.